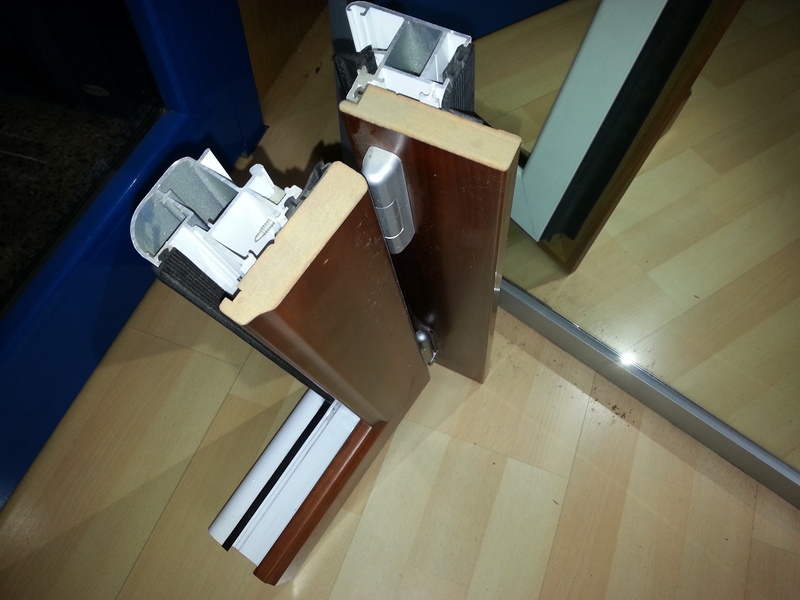 Sliding ALUGOM S-300 series by PONSICO scp for aluminum joinery in Barcelona. In PONSICO s.c.p. took since 1988 working with the manufacturer of aluminium profiles and accessories ALUGOM and its representative in Catalonia ALUNORD. Within the hinged series offered by that provider, found the Nobile series, consisting of aluminum for its outer face and wood on its inner face. Thus we get the warmth of wood on the inside of the home can combine it with furniture and accessories from our home, to choose between different types of possible finishes. On the outside of the door or window incorporates all standard aluminum finish metalwork, which gives us the absence of any maintenance, low expansion and robust to withstand large loads of glass. 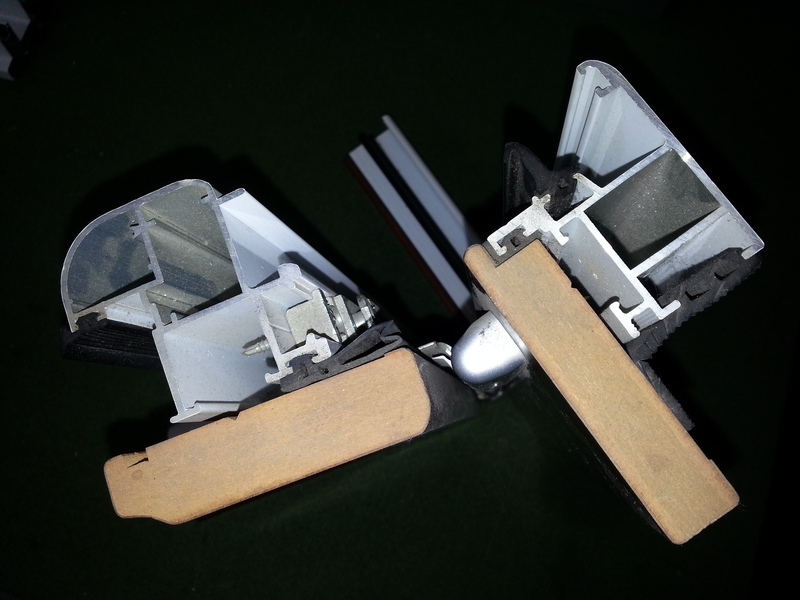 In addition to incorporating wood inside and occurs alone breakage, thermal bridge very important to prevent condensation on the inside of the window in winter, since the transmittance breaks that already if you have the metal. Also get a better thermal efficiency of the enclosure assembly. It has a large capacity to accommodate glass sheet large air chambers or argon gas and Guardian Sun Glass, for a high thermal insulation outside. It can withstand loads of up to 130kgs glass sheet, which is very interesting to incorporate acoustic glasses considerable weight, and thus isolate the temperature and the annoying noise outside our home. Among the highlights possibilities opening tilt and turn, as a simple gesture of our stay ventilate handle without opening up space. In short it is a kind of cozy window on the inside and very efficient as a whole, an investment in a few years will have depreciated due to energy savings it provides. Contact us to see wood types applicable to this series as well as price or additional information.